heading to work, just spilled my coffee all over the place and ready to sleep for two days straight haha! But aside from all that, I started clinicals this weeks and despite it being the beginning of craziness of almost 50 hour long work weeks on top of studying, I'm excited to begin this chapter and even more excited that this means I'm one step closer to finishing the program! Yayy!! 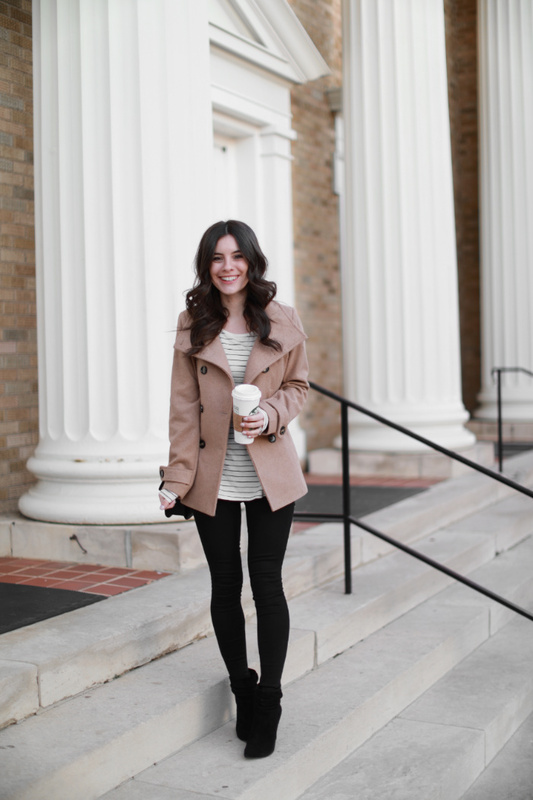 I wanted to share this outfit in a post because it is one of my favorites yet! 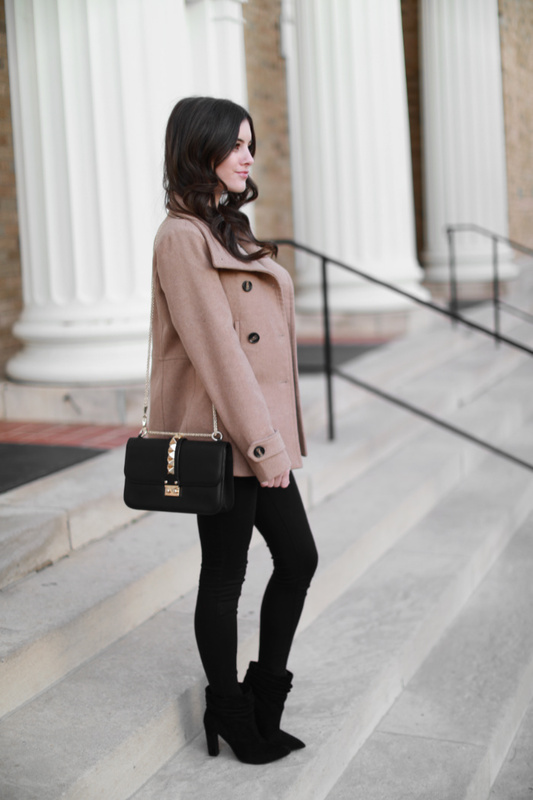 I'm only 5'4, but pairing black skinny jeans and black booties gives the illusion of looking so much taller! Gotta play with the eyes amiright?! 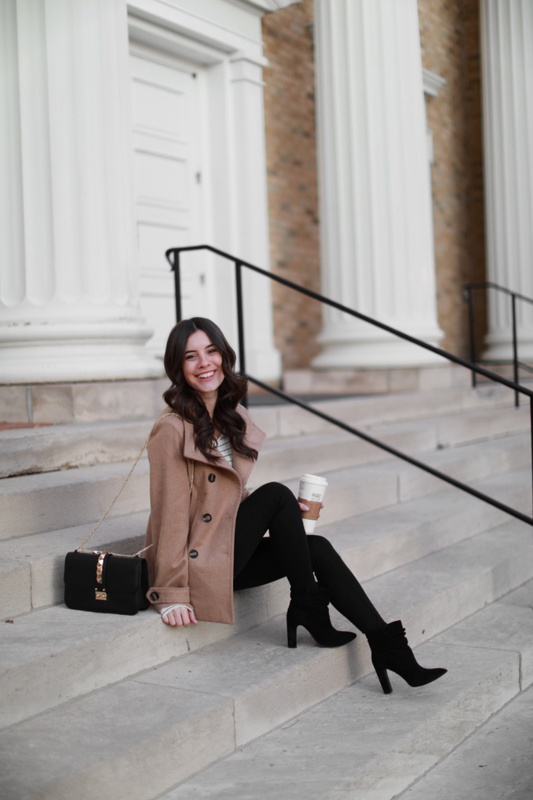 I've been wearing this combo SO much, especailly because these booties are effortless and SO beyond comfortable! 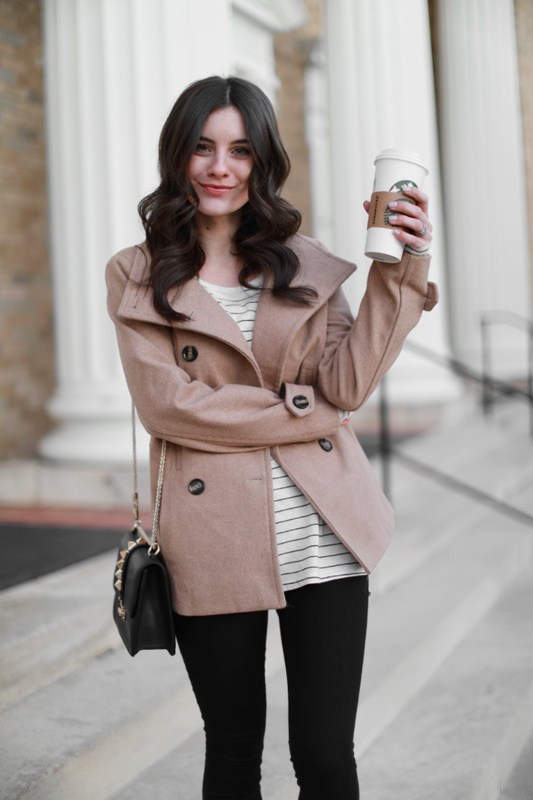 I paired this $19 stripe long sleeve with this lightweight coat that's on sale for under $40! It comes in a ton of colors and I love that you can layer it over sweaters for colder temps, but don't have to stock it away into Spring since it's not heavy duty and works for those days where it's not too cold, not too warm transitional weather.